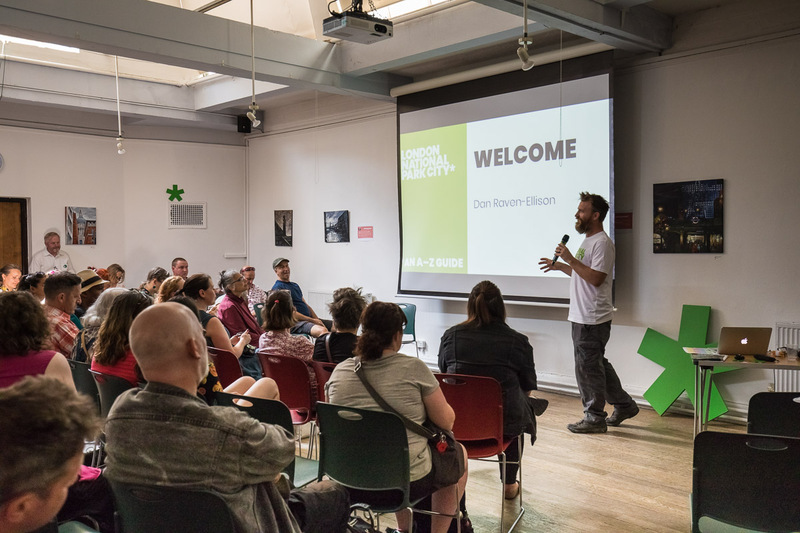 The first ever London National Park City Fair kicked off National Park City Week on Saturday 21st July. Organised by the National Park City Foundation, it was a free event with something for everyone! Four walks left Conway Hall - geology, urban climate, music, the history of green spaces. * What's your spirit animal? Shaniqua wants young people to share their stories, thoughts and opinions on being young today. More at @ShanqMarie on Twitter. Rooney the dog gave a talk on London from a dog's point of view. We hosted activities and picnics in the square, along with short debates. 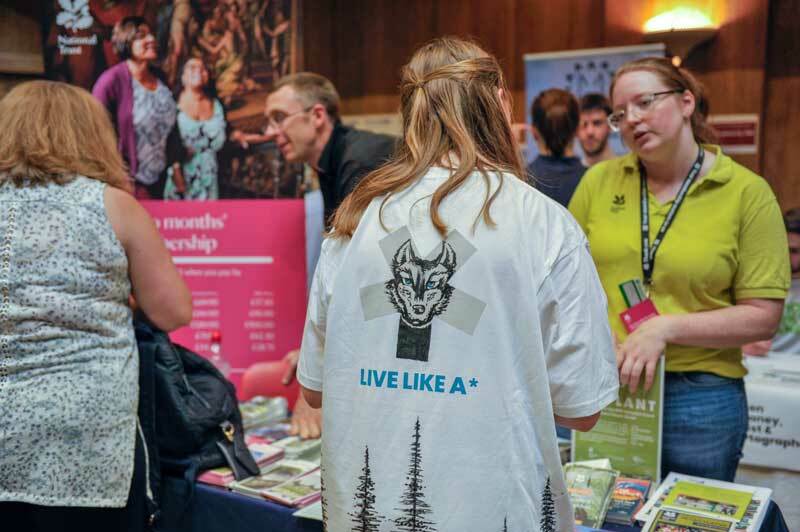 At the Volunteering & Experiences Fair we had groups and campaigns working across London, all aiming to help you get the most out of London and make a difference. Amongst the many stands were urban food growing, rambling, car free days, citizen science, community story creation and mapping, and how to get into parkour. Visitors were able to create artworks and get their hands muddy! 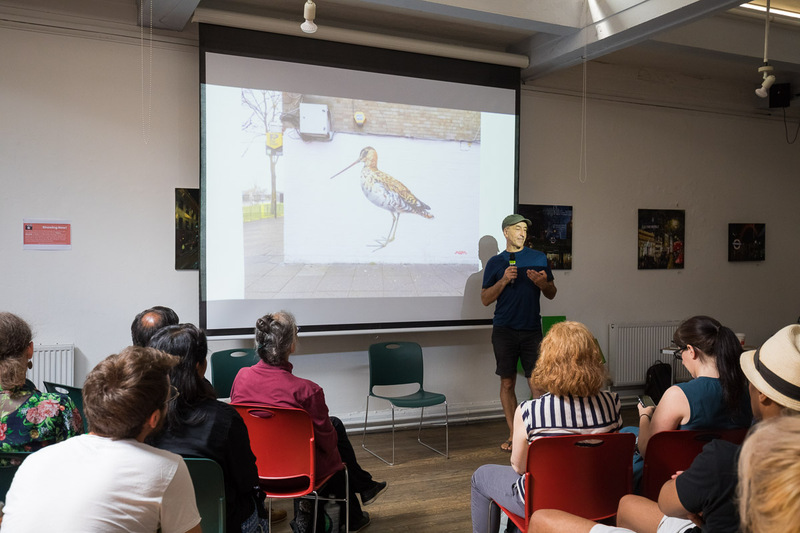 In the A-Z Field Guide to the London National Park City we welcomed 26 speakers introducing fascinating aspects of London and interesting Londoners. 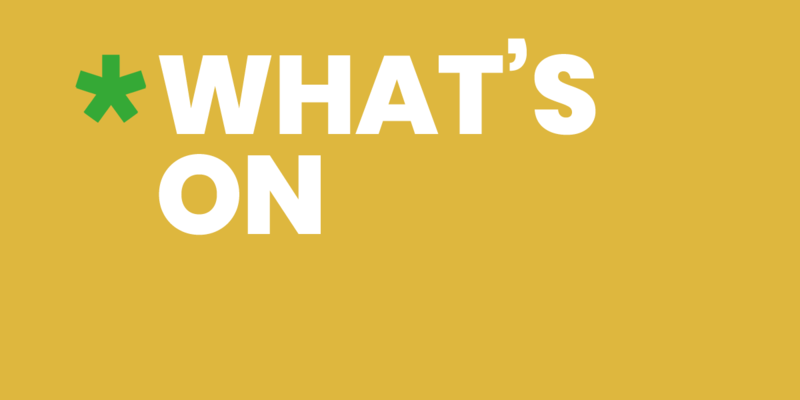 We’ll heard how squirrels are affected by air pollution, learn about London’s rocky and geololical past and you can see it in the buildings and pavements around you, explored how community action can lead to new and exciting changes, and much more! We even had a talk by a dog. On top of all that we had 4 free circular walks with experienced guides to explore the streets, parks and other spaces around Conway Hall in unusual ways. 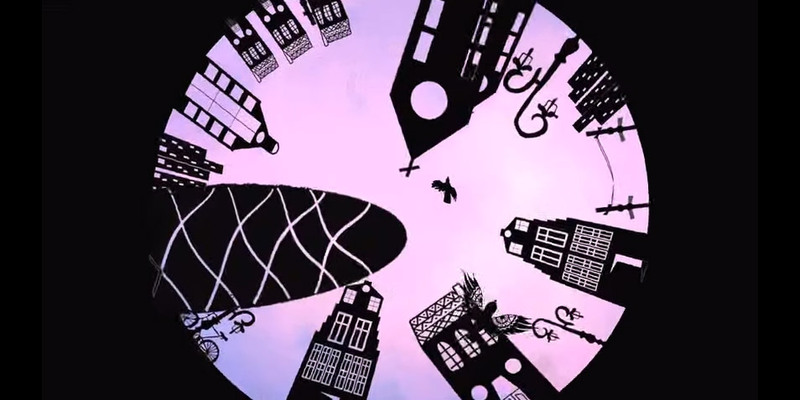 Urban heat islands, wildlife in London and history, music and sounds. And for those who didn't want to the walk, the National Trust offered free guided double-decker bus tours around London's green space. There were art displays and films, and an artist drawing custom maps of parks. 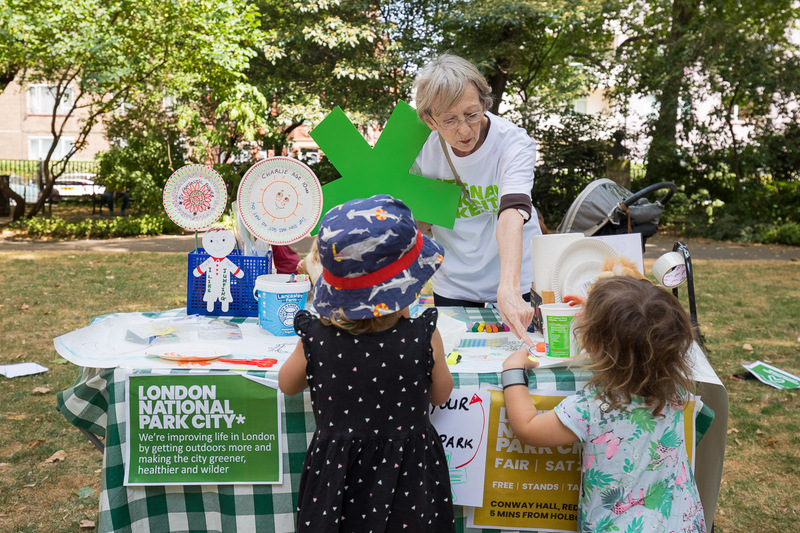 Our awesome National Park City Makers were on hand throughout the day handing out our free giant maps of London's green and blue spaces and answering questions about the National Park City. We had in Conversations in the Square discussing and exploring ideas for London as a National Park City in Red Lion Square Gardens just outside Conway Hall. 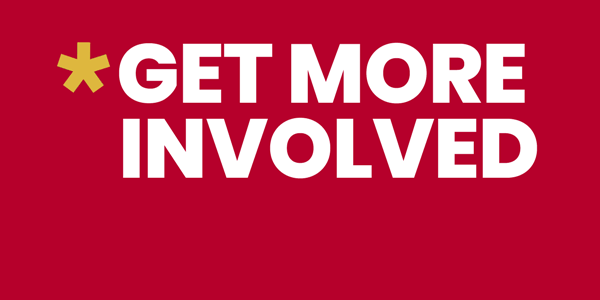 We hope everyone left with a new view of London, how to get more involved and how to make a difference! Connecting children to nature - Jacqui McDermid Inspiring adults and children to learn, create and engage with nature. Jacqui has been working as an early years consultant for Lambeth council for the past 11 years. Coming from a teaching background Jacqui has a keen interest in how young children learn. 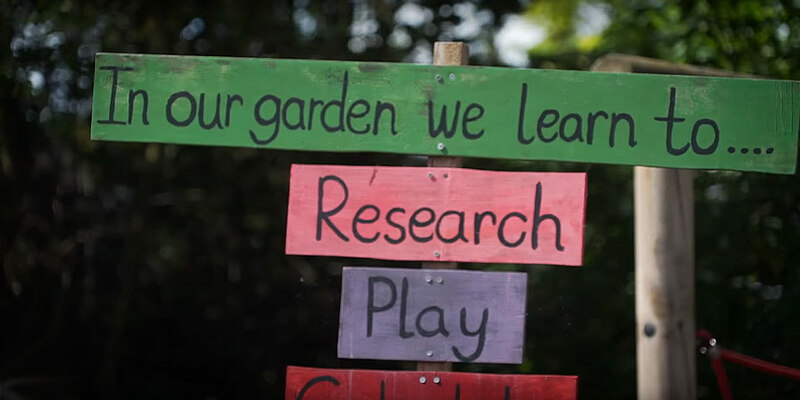 Having trained as a forest school leader, she has led on developing the Natural Thinkers outdoor framework for Lambeth schools and early years settings. She is currently working on devloping Natural Thinkers for children aged 0 - 3 through Lambeth Early Action Partnership LEAP. 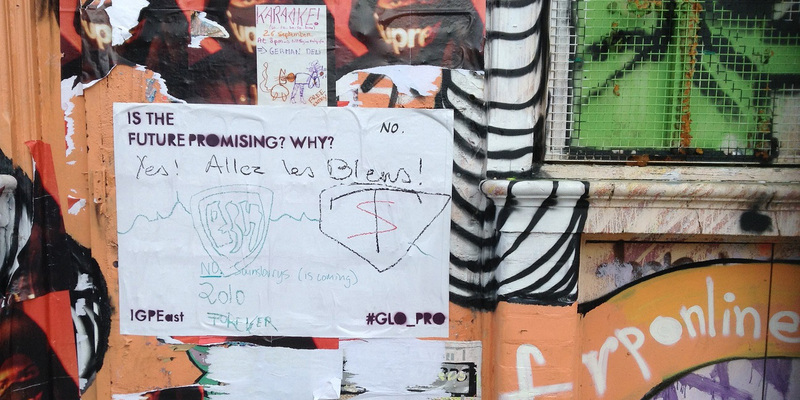 Can Londoners save small island states from climate change? - Farhana Yamin An examination of London(er)'s impact on global emissions and our role in stepping up climate action Farhana is an international environmental lawyer; specialist in international politics and law of climate change; adviser to small islands states for the last 25 years including at the 2015 Paris Agreement; strategist and adviser to foundations and NGOs working on the links between sustainability, nature connection and social justice. Let's Be Friends: How can communities protect & improve their local public green spaces? 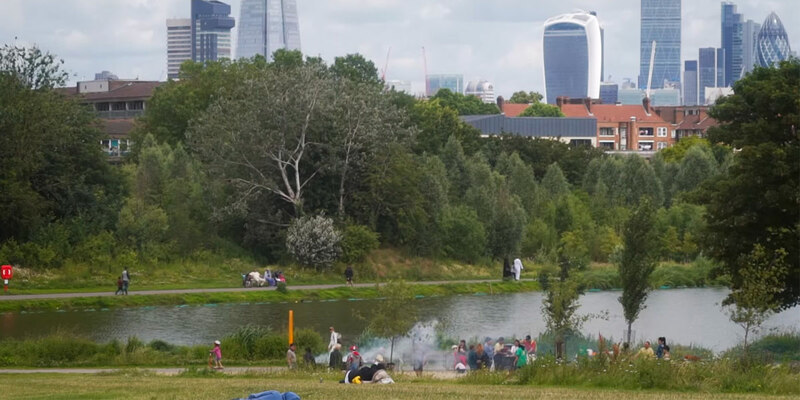 - Dave Morris There are over 600 'Friends of Parks' groups throughout London who are speaking up for the local green spaces they use and cherish. What do they do, what are their successes, and how can people create more groups so that every space is championed effectively? Dave is chair of his local Friends Group which has helped protect, improve and co-manage Tottenham's largest park. 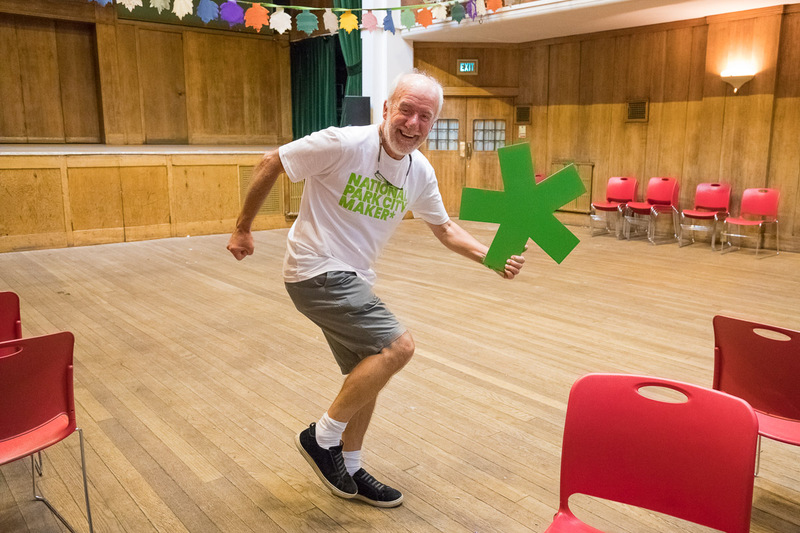 He also chairs the London Friends of Greenspaces Network which links together 600 local groups across London, helps them share news, views and best practice, and lobbies for the policies and funding our public green spaces need. Energy Garden: empowering communities through urban greeening - Agamemnon Otero MBE Bringing communities together to plant gardens along train lines and install solar panels. Chief Executive Officer of Energy Garden, Repowering, and Director of Brixton Energy, and Clean Marine. Agamemnon is a London Leader and sits on the UK Business Energy and Industrial Strategy Office Community Energy Contact Group and has been recognised by with an MBE. Reimagining The Urban Landscape - Michael Smythe Michael will discuss various ways we can all influence, shape and design healthier ecosystems in modern cities. He will focus on the relationship between biodiversity & mental health through his current research projects 'Phytology' & 'Urban Mind'.Michael is the Creative Director of Nomad Projects (www.nomadprojects.org), a contemporary arts production and commissioning agency working in the public realm. Recent projects include 'Urban Mind' (www.urbanmind.info) exploring the relationship between mental health & the urban landscape and 'Phytology' (www.phytology.org.uk) a cultural institute and community hub for inter-disciplinary research across the arts, sciences and humanities. 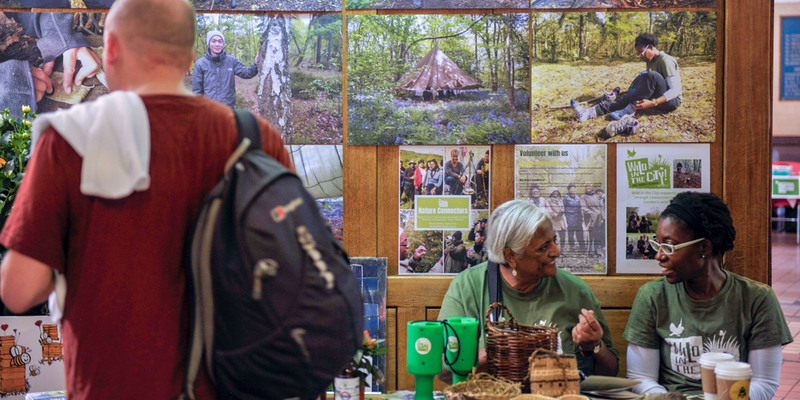 Building bridges back into nature; our experiences as people of colour - Nature Connectors; Hanna Adan, Ameena Rojee, Premila Trivedi Nature Connectors; exploring our relationship with nature as people of colour and experiences of othering. 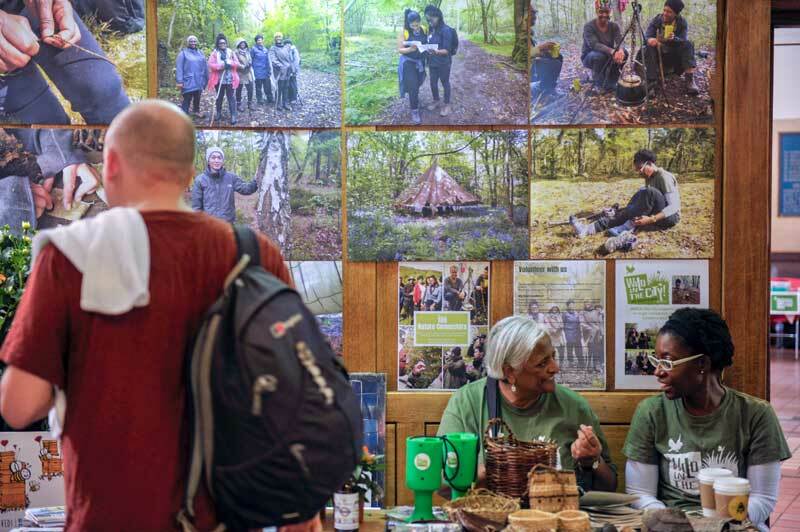 Wild in the City's Nature Connectors programme supports people of colour in feeling comfortable and confident in leading others in nature, helping to nurture a closer relationship with the natural world and with others, through learning woodland living skills, wildlife ID and traditional crafts. Hackney Forest School - Lauren Mills How Hackney Forest School developed, supporting arising issues within Hackney and the magical experiences it has provided for a range of children and families. Lauren become an Early Years practitioner in 2011 which led to then becoming a Trained Level 3 Forest School Leader through Bridgwater College in 2013. Lauren has a keen passion for the outdoors and during her childhood always enjoyed being outdoors, climbing and exploring local green spaces. Lauren has good hands-on experience of how important outdoor play is and how beneficial it is for all. The Importance of the Urban Climate on Vegetation Health - Julie Futcher A measured survey of the direct and dynamic influence of tall buildings on air, surface and near surface temperatures; wind speeds and air quality, and in turn, their impact on vegetation health and survival Julie is a chartered architect and independent researcher; my work is concerned with the dynamic and interdependent energy relationships between building and urban form, the urban climate, health and wellbeing and green infrastructure. I am currently at the early stages of developing of a ‘broad planning framework that accounts for ‘built form’ driven effects to guide urban development in a climate sensitive manner’. Julie will also be leading a walk from Conway Hall on the day that you will be able to join - please see details below. Street Art and Conservation - ATM How street art has the potential to change cultural attitudes to the value of conserving and restoring wild places and creatures ATM paints endangered species on urban walls, as a way of drawing attention to the environmental crisis. By bringing huge paintings of birds, animals and insects into the public domain he aims to inspire a renewed concern for these vanishing creatures and a desire to help them by restoring and protecting their habitats. By doing this we also create a healthier and more beautiful environment for ourselves. Exploring the impact of air pollution on grey squirrels - Helen Horsler An overview of a pilot study conducted to investigate the consequences of air pollution exposure on urban squirrels, and the potential implications of these findings. After graduating with a degree in Biology from the University of Bath, Helen undertook a Master's in Taxonomy and Biodiversity at the Natural History Museum/ Imperial College London. Currently Helen works as a Research Officer in The Francis Crick's genetic manipulation department. London On Four Legs - Rooney the dog A dog's eye view of London life. 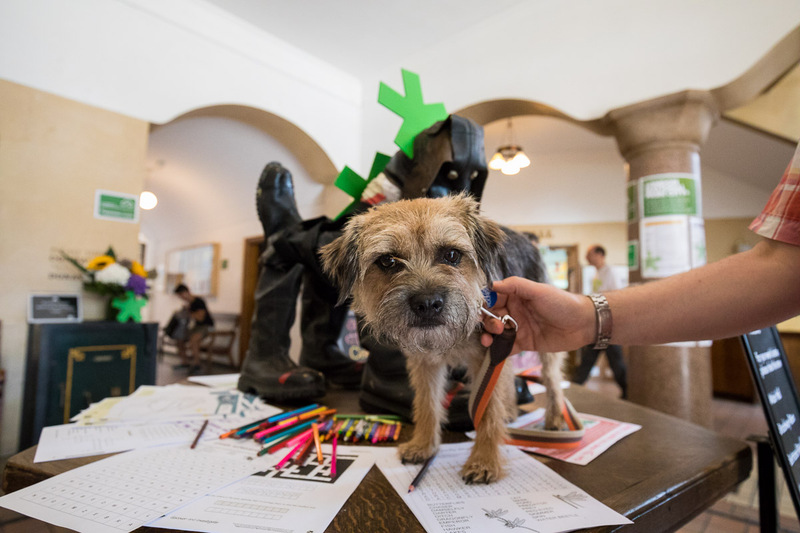 Rooney is a 5-year old Border Terrier who lives in London with his two humans. He loves parks of all shapes and sizes, biscuits, bikes, beaches and balls. An affirmed urban dweller and passport holder he also spends time regularly in Amsterdam. Rooney can't wait for London to be a National Park City. I'm not supposed to be here - Dwayne Fields An explanation of how someone born in rural Jamaica grew up in Hackney (East London) - the victim of street crime and homeless at one point - became a Polar explorer. Dwayne isan adventurer/explorer, my claim to fame is that I'm the first black person from Britain to walk to the North Pole, I am also a proud UK scout ambassador, Ordnance survey champion and Woodland trust ambassador. Wanted Weeds - Gewildgroei We do not see 'weeds' as a problem, but as a partner. An open space to share my personal experience of spending time filming wildlife activities in London's popular deer sanctuary through the four seasons. Yuzuru is a London based wildlife photographer/filmmaker. He was born in Japan and moved to the UK 20 years ago. After an encounter with an alpine ibex in the French Alps in 2007, Yuzuru re-discovered his passion for the nature and started his nature photography. In the recent years, he has also been filming wildlife alongside his stills work. Yuzuru's two-part short films of wildlife in Richmond park have been featured in the BBC 2 Springwatch 2018. 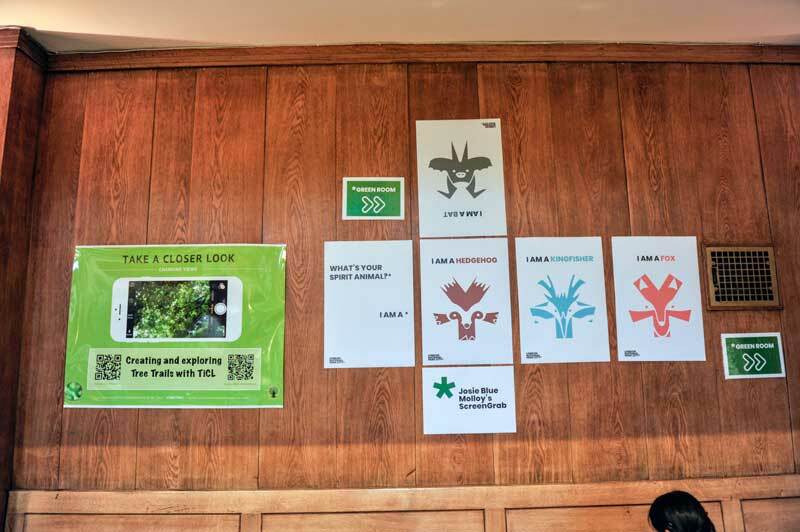 How to be an Urban Ranger - Hattie Clayton & young volunteers Hear from young National Trust volunteers on how they have taken ownership of their local green spaces and become advocates for the environment. National Trust young volunteers aged 11-24 will be sharing their experience of being an Urban Ranger. 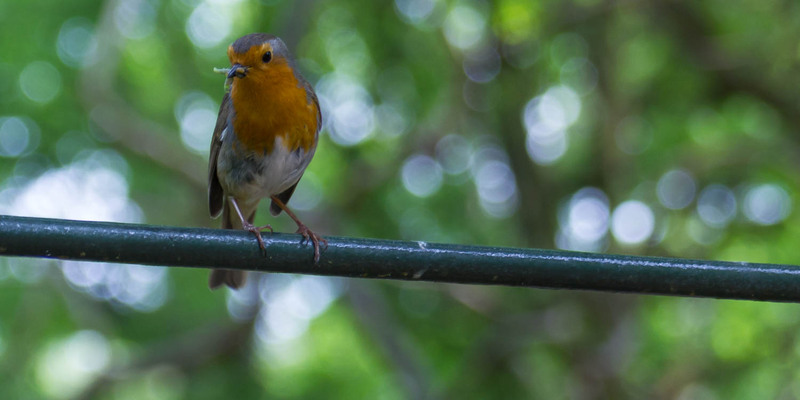 Come along to hear about why they think looking after wildlife in London is important and how they have taken ownership of their local green spaces and become advocates for the environment. This talk will inspire all ages to take action and include some easy top tips on how you can become an Urban Ranger. 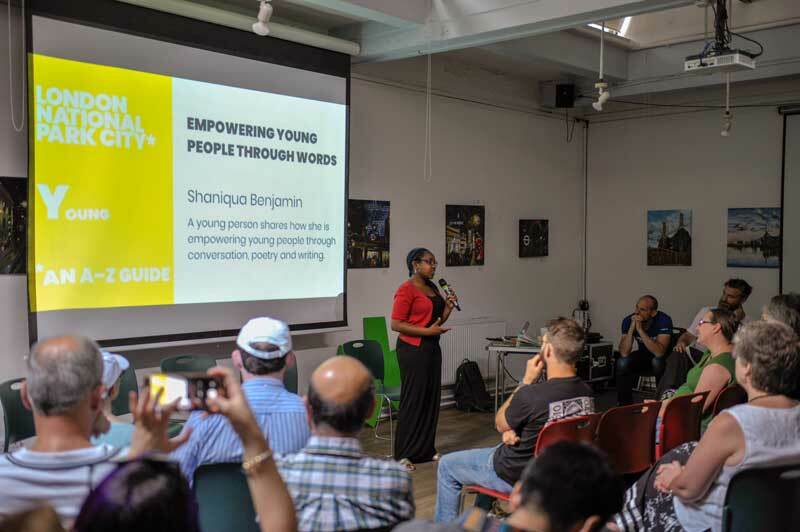 Empowering Young People Through Words - Shaniqua Benjamin A young person shares how she is empowering young people through conversation, poetry and writing. Shaniqua is a writer and poet from Croydon, who draws inspiration from her life experiences to create meaningful pieces of writing. She has used her passion for making a difference to found, Young People Insight, a platform that empowers the voices of young people and encourages community engagement through discussion groups, poetry nights and writing. Tranquillity is Open to all - Grant Waters Tranquil City believes that tranquillity is a luxury we all can enjoy, especially in the big city. Our open approach to defining tranquillity is inclusive to all and is helping people find time and space for tranquillity in their daily lives. Grant is an acoustician and founder of the Tranquil City project, a project exploring what tranquillity means to us in our cities and how it can help improve out daily lives. The project has created the Tranquil Pavement London, a map to help everyone discover and share calm, quiet, nature-full and beautiful spaces in the city. Wild Parkour - Jasmine Kamal-Pasha The human made obstacle course for wildlife to get from A to B. Jasmine is a photographerwith a passion for art, nature, and wildlife. Her work includes exploring and creating awareness about the relationship between the human made world and the natural world, and how the two co-exist. Urban Geology in Midtown: the building stones of Holborn and Bloomsbury - Ruth Siddall The urban environment is often forgotten as a place in which to learn geology, but there is a wealth of hidden gems (literally!) on our city streets. Ruth is a geologist works on the use of stone in cities, ancient and modern. 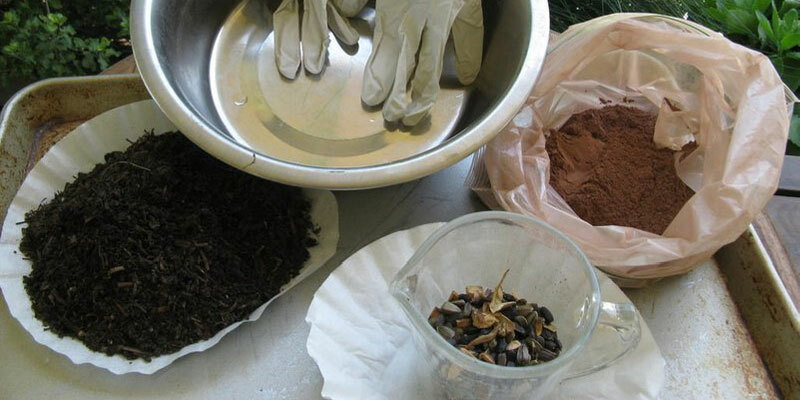 These include building materials and also pigments and ceramics. She has worked on the materials used in ancient cities including the ancient cities of Pompeii and Corinth and in the modern metropolises of London and Doha. Reclaim the Forest - Pernille Møller We reclaim wood to to green our streets and promote inclusive communities Pernille is the manager for Forest Recycling Project (FRP), a social enterprise and reg. charity in Waltham Forest. FRPs mission is to create a green economy to reduce social poverty. Pernille has previously worked as a climate negotiator and government official. Arts, Cultural Visions and Environment - Judy Ling Wong CBE Sharing the role of the arts in engaging with the environment, with examples of different cultural visions and their contribution Judy Ling Wong, painter, poet and environmentalist is best known as the Honorary President of Black Environment Network (BEN). For 27 years she was the UK Director of BEN, with an international reputation as the pioneer and creator of the field of multi-cultural participation in the built and natural environment. Judy is a major voice on policy towards social inclusion. Her present committee membership includes Founding Trustee National Park Foundation, DEFRA Civil Society Partnership Network – Vice Chair, National Park City Foundation – Founding Trustee, The UK Urban Ecology Forum – Vice Chair, Sowing the Seeds Network – Chair, IUCN/WCPA Urban Conservation Strategies Specialist Group, Countryside and Community Research Institute –Advisory Board, Aluna – Cultural Strategy Development Group, Tree Charter Board – Member. Jam & Juicing - Karen Liebreich Talking about jam & juicing, but I might include chutney & cider... and also what happens when a guerrilla gardener gets permission and ends up working with community & council. Karen is co-founder of Abundance London, a West-London based organisation that harvests fruit gluts, plants trees, creates guerrilla gardens & artworks. Got an MBE for horticulture & education. Also writes books, should be writing more. Motto: Small Acts of Defiant Beauty. #LoveLondon WalkLondon - Des Garrahan Walking in London for leisure, pleasure, commute, adventure, heritage, health & wellbeing. Des is a Londoner born & bred and most of what I know of London I learned through my feet. Lived & worked my whole life in London, even did both my degrees at London universities. Former chair of Ramblers GB, former employee of the RSPB, award winning blogger. Spend as much time as possible outdoors and/or on social media. Just Solutions 123 - Mila & Lindy Just Solutions 123 is a not-for-profit voluntary project begun by five women in December 2014 to help solve their community's problems with easy "123... steps" toward health and wellbeing. Talkshops provides a safe and confidential space for people with mental; emotional and long-term health conditions to talk, socialise, interact and have fun with their community in non-sterile settings. Community Kitchen Garden provides weekly gardening activities turning ‘forgotten spaces into beautiful used productive spaces’. Growing vegetables as well as planting flowers to improve local bio diversity contributing to the global effort to save our planet. #Trees4Grenfell will plant trees throughout the Royal Borough of Kensington & Chelsea in particular the area most affected by the tragic Grenfell Tower Fire and around the Westway A40 Motorway. There has never been a need so great to improve the air quality and bio-diversity for our millennium generations. The Grenfell survivors, friends, London Fire brigade, community and community centres will all have a say in where, when and what types of trees will be planted. The benefits of street performing for upcoming musicians. TrueMendous intertwines the art of storytelling with in detailed poetry to cleverly narrate her music towards her audience. She has been doing so through the use of street performing/busking for over 3 and a half years now. Action for Conservation Action for Conservation was born with a vision that every young person in the UK is moved and empowered to protect the natural world. Through our programme of school workshops, we are building a structure and training young conservation professionals from around the world as workshop leaders. Our workshop leaders create a sense of wonder and, through their stories of hope, foster ongoing engagement. Cody Dock Our charity is regenerating Cody Dock into a creative industries and environmental quarter that provides opportunities for people to play a part in the revitalisation of the the Lower Lea River and celebrate its ecology and often unsung heritage. With over a 1000 volunteer opportunities per year Cody Dock israpidly becoming an exciting destination for people wishing to volunteer of simply discover the Lower Lea Valley. Energy Gardens Bringing communities together to plant gardens along train lines and install solar panels. Provide opportunities for groups and individuals to access Epping Forest and take part in a variety of Forest activities. Our activities are particularly aimed at those who are less able to access or take part in Forest activities. Friends of Chestnuts Park Share the success story of our small park that's successfully bid for funds and organised many events. Go Jauntly We will be showing people our app which encourages you to find walks, create your own and share them with friends. We have walks all over the country and loads of insight into walking in the UK. 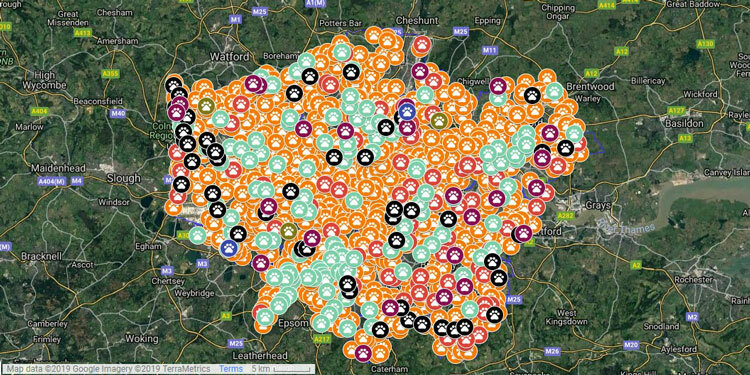 As we piloted in London this is where the biggest concentration of our walks are, and the area we know the best! We want to encourage people to find happiness outdoors and bring walking back as a leisure activity, not simply a way of getting from a to b. 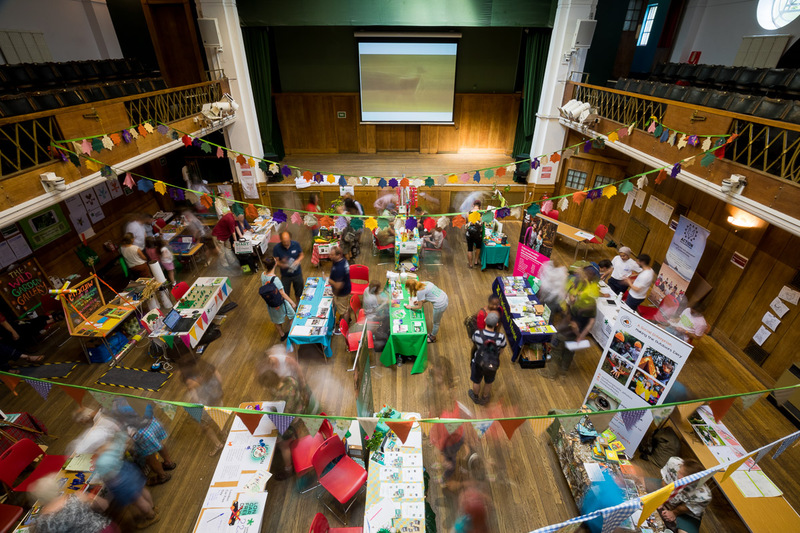 Groundwork London At our stand, event attendees can find out about the work we do with communities and green spaces across London and how they themselves can get involved with our various projects e.g. 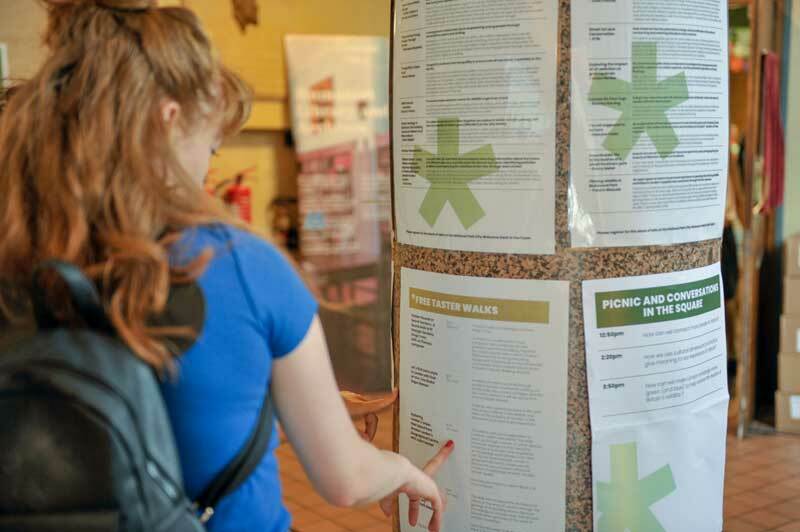 applying for one of the green space grant schemes we administer or registering to volunteer through our Volunteer Service (in five London boroughs). We'll also offer people the chance to grow their own micro-greens through our mini planting activity. An interactive Co-Design tool for a National Park City app, giving residents a say in shaping the green spaces in their city. 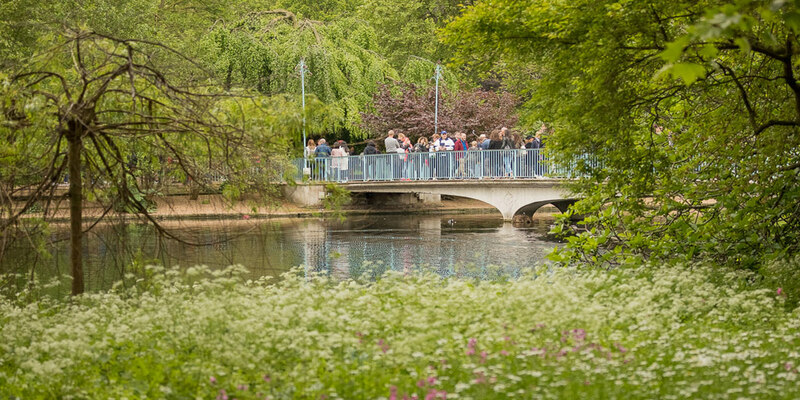 The crowd sourced National Park enables mutually beneficial connections between people and nature in cities, enhancing London as an inspiring place to live. This student design project is an implementable first step toward the green cities we aspire to for the future. Jai is a designer with passion for nature and sustainability. Jai enjoy's using design creativity as a tool to find exciting solutions to seemingly intractable problems, turning crisis into opportunity. JIGSAW - Journey Into Green Space and Waterways Demonstrations & display of simple methods to engage visitors/users and interpret an urban green space. Josie Blue Molloy’s ScreenGrab Bringing screen printing to you. You will get a chance to print something of your own! London Car Free Day Educating people on the history and ambitions of World Car Free Day, and why London Car Free Day is an important part of the transition to zero emissions town centres and healthy streets. Mindfood CIC We’ll be talking about therapeutic horticulture: how nature and food-growing can help help improve mental health. We’ll show you what we’re up to at our two projects in Ealing, bring free seeds for you to grow at home, and share tips and techniques to nurture your own wellbeing. Outdoor People Handing out wild walk maps, promoting volunteering to get families outdoors. Making journey sticks!! Owen Delaney, artist & cartographer Hand drawn maps of your favourite parks. I will illustrate map of your favourite London Park, and for a small donation to London National Park City, you can take home the original drawing. 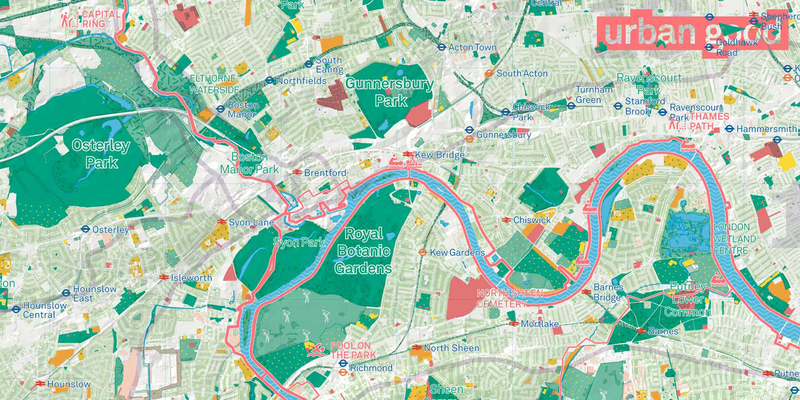 Watch as the map montage of London's parks grows throughout the day. Parkour Generations Learn all about parkour and how to get into movement practice, health and fitness with us across the city. StART St Ann's Redevelopment Trust StART is a community led group that is working with the Greater London Authority, who has purchased two thirds of the site of St Ann's Hospital, to build 800 genuinely affordable units, as well as community and small business spaces. We’re working to conserve and enhance the unique physical environment of the St Ann’s hospital site – its unique trees, wildlife, architecture and archaeology – for the benefit of the local community. Thames21 Thames21 is London's leading waterway charity, our stand will have info about London's rivers and how people can get involved with a river clean or how to set up their own activity. We will have interactive activities such as exploring and discovering the micro-plastics that exist in the river; find out how to help improve the quality of the Thames and other rivers around London; explore our treasure chest of artefacts that have been removed from the Thames; we will ask participants to pledge how they will make a difference. Touchwood Trees Ltd We will be showing artworks and images of street art with planting. We will encourage people to contribute to public space through active involvement in creative activity. We will offer hands- on activities to make artworks, using clay, soil, and paints. Transition Town Tooting and CARAS We'll share four aspects of the practical, creative & successful facilitation we've been carrying out in our 4-year partnership with CARAS, the Tooting refugee and asylum-seekers' charity: Signs of Welcome, Garden of Sanctuary Days, Waste Plastic City Garden, and Stay with Love benches. WildCity Promoting our Wild Garden Gallery project, (Part of Kew's Grow Wild programme) showcasing films/photos from our creative wild flower workshops set within the Eden Community Garden, Clapham. Inviting visitors to the fair to create new art works at the stand which will become part of a larger collaborative installation and film to then be exhibited within the garden and online. Also sharing foraging and general creative tips on working in the wild. Xanthe Mosley, tree artist TREES OF LONDON - Small daily drawings and sketches done in the parks and streets of London. As well as being a professional artist, Xanthe is co-chair of the Lewisham community group ‘Street Trees for Living’. With her special interest in planting and looking after street trees, her daily drawings (which she posts on Twitter and Instagram) are often of London’s special trees. Wild in the City Nature Connectors Nature Connectors; exploring our relationship with nature as people of colour and experiences of othering. 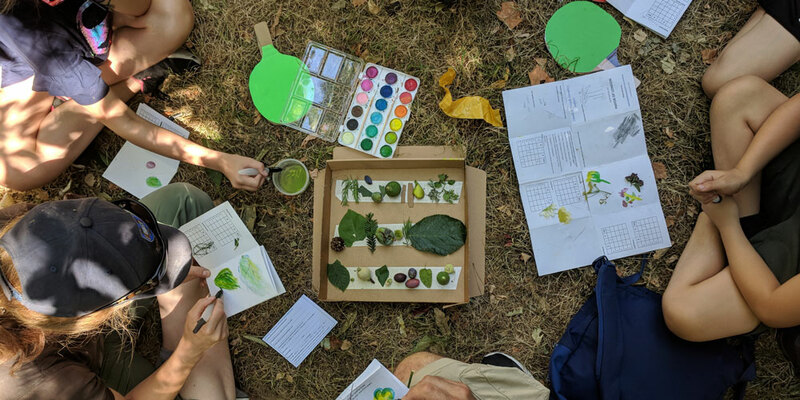 Wild in the City's Nature Connectors programme supports people of colour in feeling comfortable and confident in leading others in nature, helping to nurture a closer relationship with the natural world and with others, through learning woodland living skills, wildlife ID and traditional crafts. Zoological Society of London We will be explaining the citizen science opportunities we offer and how to register for them. Also explaining the life that can be found in the Thames! 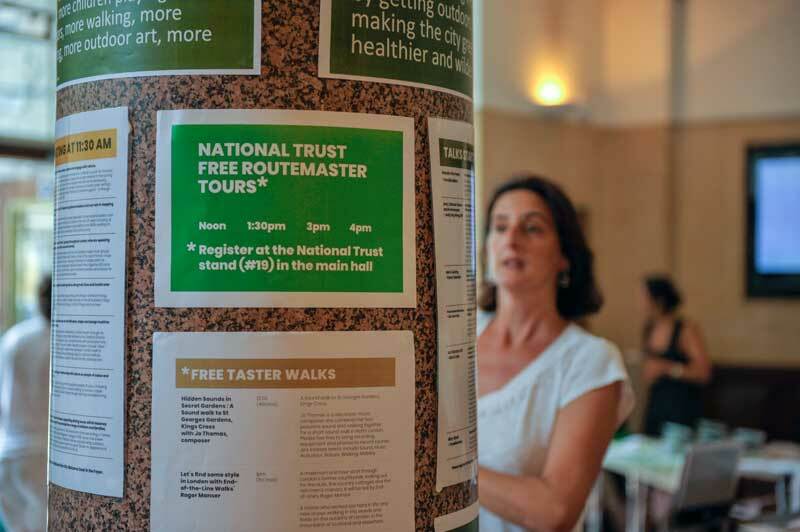 We offered a number of free taster walks to explain the area around Conway Hall. Air, sound, music, wildlife and climb the local hills. A Sound walk to St Georges Gardens, Kings Cross. Let's find some style in London with End-of-the-Line Walks' Roger Manser 1pm (1hr max) A maximum one hour stroll through London's former countryside, looking out for the bulls, the country cottages and the rich men's manors. It will be led by End-of-Line's Roger Manser. A retiree who worked too hard in life; and now enjoys walking in the woods and fields on the outskirts of London, in the mountains of Scotland and elsewhere. This walk is a physical exploration of London’s Urban Heat Island; The walk leads us through a series of urban spaces where we experience first-hand the influence of built form and vegetation on the background climate; from Red Lion Sq. we head towards London’s geographical centre, where we will discuss the accumulated effects of London’s morphology on both climate and air quality. You may also listen to Julie in Block 2 of the A-Z Guide. This walk will introduce the architectural history of this area of London through the geology of its building stones. Discover the ecology of Jurassic seas and ancient Scandinavian granites on the walls of London’s buildings. You may also listen to Ruth in Block 3 of the A-Z Guide . 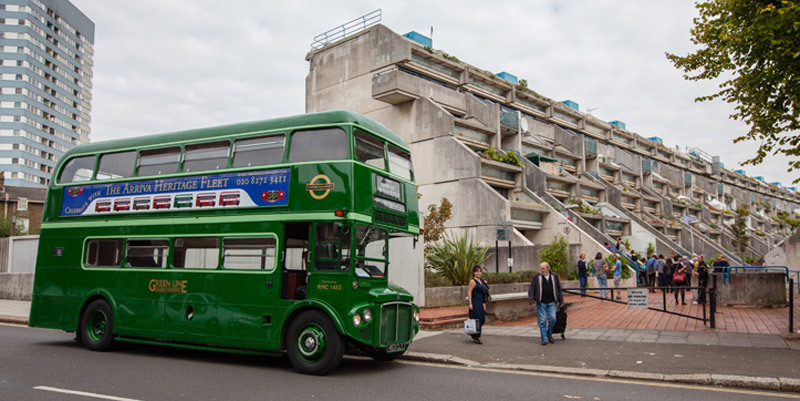 The National Trust's 1960s Routemaster bus gave free 30 minute tours of the local green space. 1250pm How can we connect more people to nature? 220pm How we use cultural dimensions to enrich/or give meaning to our experience of nature? 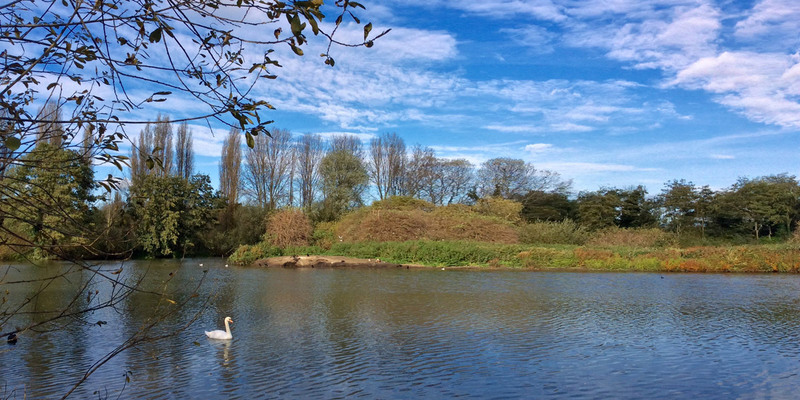 350pm How can we make London amazingly more green (and blue), to help reverse the decline of Britain’s wildlife ? Read the fascinating long history of Red Lion Square over on the Friends of Red Lion Square's website. Laid out as gardens in 1885 and opened to the public its story is a great example of one of the 1000s of small stories which led to London being so green today.